Good News for All the Nokia 808, 701, 701 and 603 Owners. 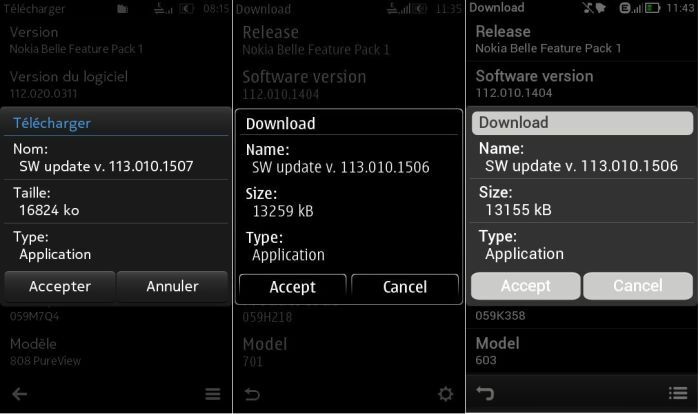 Today Nokia start to rolling out Nokia Belle Feature Pack 2 for Nokia 808 PureView, Nokia 701, Nokia 700 and Nokia 603. Currently the update is available via OTA (Over the Air) Update. Currently there are no official statement from Nokia about this update and still no official change log from Nokia.